10. Crossroads Parc Des Étangs/Vijverspark, Brussels, Belgium July 9 There have been beach parties, street parties and countless club nights, but in 23 years the Brussels institution Fuse has never hosted its own festival. That's all set to change in 2017 with the arrival of Crossroads, a one-day event at Parc Des Étangs/Vijverspark. The industrial venue, which sits under a motorway on the outskirts of the Belgian capital, should be the perfect setting for the thumping sounds of Robert Hood, Sigha and DVS1. If you're more of a house fan, Mike Servito, Tama Sumo and Fred P are also locked in. There's usually no telling how a festival will turn out at the first attempt, but with Fuse you couldn't be in safer hands. RA Pick: DVS1 thrives in such gritty surroundings. 09. Polifonic Masseria Del Turco, Monopoli, Italy July 7 - July 10 In order to really make a splash, new festivals need to offer something special. South Italy's Polifonic, which debuts over one weekend in June, matches a chilled Mediterranean setting with classy house and techno for its first edition, bringing evergreen selectors like Theo Parrish, Levon Vincent and Sassy J to the Itria Valley. There's also a big emphasis on food, with organisers promising a chance to sample the region's local flavours. It's the picturesque Italian getaway, but with the added bonus of top-shelf music. RA Pick: Tom Trago's sunny house and disco is a great match for the Itria Valley. 08. Bass Coast TBA, Vancouver, Canada July 7 - July 10 Bass Coast embodies many of the things that make small festivals great. Its riverside setting in Nicola Valley, a few hours north of Vancouver, is idyllic. The vibe is wacky and down to earth, the ethos genuinely progressive—Bass Coast first gained international attention in 2014 when it banned Native American headdresses, a move imitated by bigger events around the world, and its daytime workshops, according to Andrew Ryce, cover "everything from meditation to polyamory." 2017 promises to be among its finest editions yet, at least if the lineup is anything to go by. Along with West Coast favourites like Justin Martin and J.Phlip and Canada's Project Pablo, European selectors like Call Super, Roman Flügel and Special Request should nail the festival's unique vibe. RA Pick: Given Bass Coast's penchant for sub-frequencies, the Critical Music showcase should go down a treat. 07. 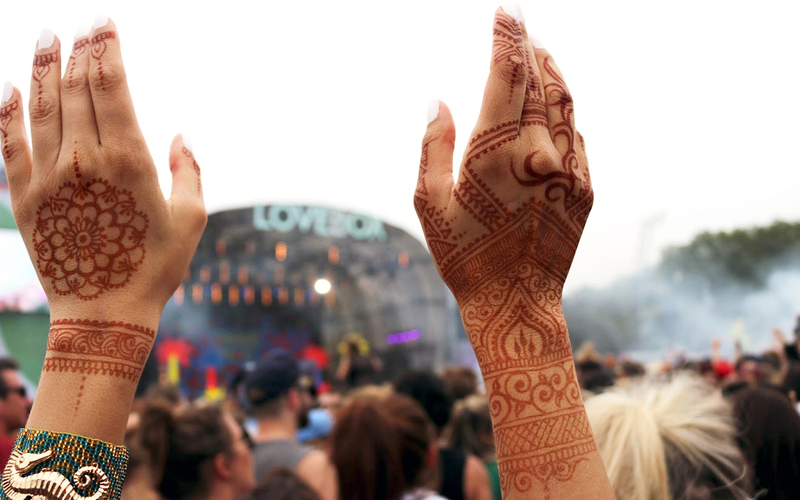 Lovebox Victoria Park, London, UK July 14 - July 15 London's Lovebox festival crafts lineups where the pop music is credible and the dance headliners are raucous. The pop-leaning bookings in 2017 are as strong as any in the festival's 15-year history: Solange, Frank Ocean and Sampha, who all perform on the first night, are the kind of artists who transcend tastes. This year's top electronic music bookings, billed for the second night, are specialists in festival-sized anthems, whether it's drum & bass act Chase & Status or garage wizard DJ EZ. There's plenty of action beyond the headliners, too: for the second year running, fabric will host a stage on both days of the festival. A lot has happened since the Farringdon venue decamped to Victoria Park for Lovebox 2016, so expect the mood to be celebratory as residents Craig Richards and Terry Francis join the likes of Ricardo Villalobos, Dixon, Seth Troxler and Bicep. RA Pick: Solange is one of the most mesmerizing artists in pop right now. 06. Norbergfestival Gamla Banan, Norberg, Sweden July 27 - July 30 It once seemed farfetched that Norbergfestival would become a well-known and respected staple of the European festival calendar. It takes place two-and-a-half hours from Stockholm near a town of just a few thousand inhabitants and books heady, sometimes confrontational electronic music. But its relative isolation helped cultivate an intimacy and authenticity rarely found at festivals, while an awe-inspiring venue in a former mining facility makes it positively unique. It's the sort of festival you attend to refresh your perspective and expand your horizons, which is exactly the kind of experience artists like Sarah Davachi, Pharmakon and Beatrice Dillon should deliver. RA Pick: Following Grafts, her transcendent record from earlier this year, Kara-Lis Coverdale is a must-see. 05. The Peacock Society 2017 Parc Floral De Paris, Paris, France July 7 - July 9 Anyone with deep enough pockets can find a venue and book a big lineup, but it takes a lot of hard work and creativity to inject a large-scale festival with soul. We Love Art, the company behind The Peacock Society, are experts in exactly that, transforming giant event spaces into world-class party spots. For the Paris festival's fifth edition, they'll return to the gorgeous Parc Floral De Paris, hosting a mix of Ibiza favourites (Jackmaster, Dixon, The Martinez Brothers, Apollonia) and deeper acts with equally big sounds (Moodymann, Konstantin, Nina Kraviz). RA is cohosting the Squarehouse stage on Saturday, so pop by for sets from The Black Madonna, Avalon Emerson, Midland and Raheem Experience. RA Pick: If the straight club beats ever get too much, slink off and cut a rug to Jlin's fiery live show. 04. Freqs Of Nature Militärflugplatz, Berlin, Germany July 5 - July 11 Germany has no lack of oddball outdoor raves, but Freqs Of Nature has steadily moved to the front of the pack. Over 200 artists, builders and volunteers are currently constructing some seriously psychedelic structures and installations onsite in Niedergörsdorf, reflecting the festival's roots in community participation and tripped out psytrance. Running all the way from Wednesday to the next Tuesday, what looks like a marathon on paper actually encourages ebbs and flows, passing through extreme breakcore from Ruby My Dear to Kettenkarussell's subtle grooves and Rrose's mind-expanding techno. RA Pick: Psychedelic techno master Mike Parker. 03. Freerotation Baskerville Hall, Herefordshire, UK July 7 - July 10 Much of Freerotation's strength comes from the ways in which it stays the same: the venue (Baskerville Hall, a cozy hotel in the Welsh countryside) the residents (an impressive cast of artists that spans from Surgeon to the Hessle Audio crew to local selectors like Leif and Joe Ellis) to the regulars (a melting pot of heads from Wales, Bristol, London, Berlin and beyond). But what keeps Freerotation fresh is the ways in which it expands. Despite the much-discussed membership system, plenty of new faces dot the dance floor each year. And with each edition, new sounds offset the festival's core of deep house, techno and bass. In a tantalizing twist, this year's bill has a dash of Berlin-style minimal house, with Bruno Pronsato and Perlon boss Zip making debut appearances. RA Pick: Objekt has a way of outdoing himself every year—see what he's got up his sleeve this time. 02. Rural 2017 Uchiyama Farm Camping Site, Nagano, Japan July 15 - July 17 Japan's nomadic Rural festival is on the move again this year. Trading one picturesque mountain setting for another, the intimate weekender will set up camp this year around Uchiyama Farm, a vibrant green site about two hours northwest of Tokyo known for its beautiful cosmos fields. Kompakt boss Wolfgang Voigt tops the bill as Gas, delivering live ambient techno that promises to match the setting perfectly. So too should the beatless explorations of Roly Porter and the deep and hypnotic sounds of artists like Nuel, Felix K and Svreca. Add in shapeshifters such as Solar, Lena Willikens and ASC, plus Rural regulars DJ Nobu, Chris SSG and Wata Igirashi, and you're in for a very special weekend in the Japanese countryside. RA Pick: Expect a masterclass in deep techno from Nuel. 01. Melt! Ferropolis, Leipzig, Germany July 13 - July 16 Melt!, which turns 20 this year, is a mammoth festival with production quality like few others. Sprawled across Ferropolis, a "city of iron" outside of Dessau, it brings those fabled German industrial standards to large-scale raving, with killer sound, impressive stages and, most importantly, a top lineup. Across six areas, including the 24-hour Sleepless Floor outside Melt's main grounds, you can sing along to acts like M.I.A., Die Antwoord and Kate Tempest before dancing to underground house and techno heroes like Marcel Dettmann, Sonja Moonear and Bjarki—all within view of some of the biggest manmade machinery ever produced. A world-class party experience, Melt! offers a freewheeling German rave at festival-level scale without compromising on quality.